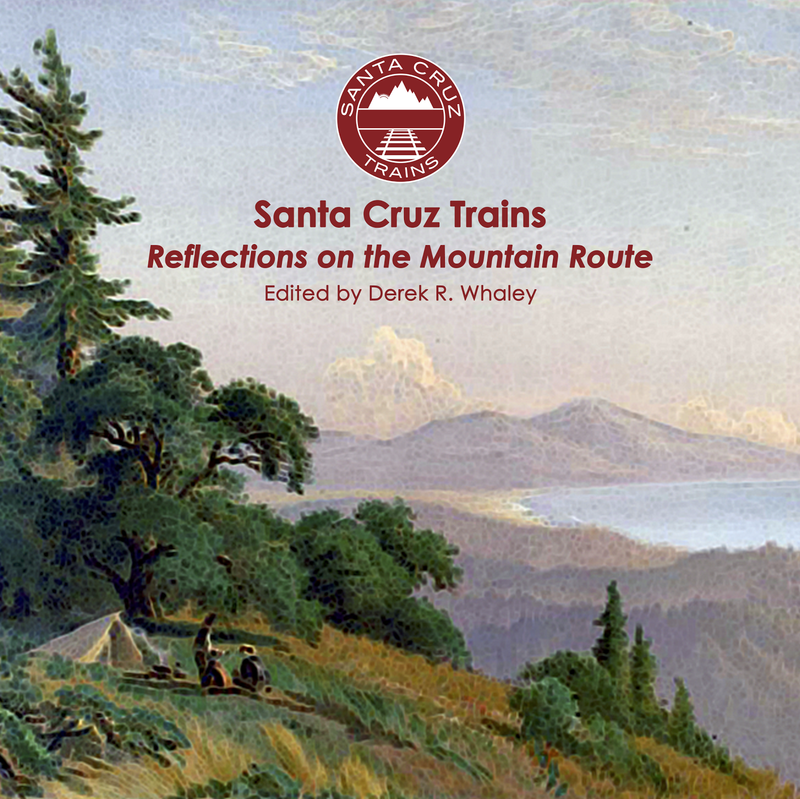 Twin Lakes was one of the last seasonal stops put in place along the Southern Pacific Railroad tracks along the Monterey Bay. It was established in April 1890 as a summer retreat for Baptists. In a ten-acre tract of land between Woods Lagoon and Schwann Lagoon purchased from J.C. Kimble, the Baptists built a large tabernacle able to seat 300 people. On East Cliff Drive beside the beach, they also built a hotel and conference center. The conference center soon picked up a large concrete swimming pool by the beach for those wishing not to swim in the surf. Cabins and a campground were built around the tabernacle and the resort was used seasonally. Four windmills placed in the area powered the facilities. The Baptists first used the retreat on June 23, 1890, and it became a regular gathering place for Baptist communities from around the country. This tract, generally known as Twin Lakes, is the appropriate and euphonious name of a Baptist resort and summer encampment recently established in Santa Cruz. The successful endeavors of the Christian people paved the way and led up to the establish- ment of this resort. Like the Methodists of Pacific Grove, on the other side of the bay, the Baptist Church of California was anxious to secure a desirable location for a summer' encampment and a place to hold annual conferences. A committee was appointed to look up sites and consider propositions, and, after traveling over a large part of Central California, and examining many places, and considering several large tenders of land and coin, accepted the proposition of Mr. J.C. Kimble, a resident of Oakland, and owner of one of the most desirable pieces of property in Santa Cruz County. Mr. Kimble gave ten acres of the highest part of this tract, and afterwards increased it by the addition of other pieces and a long, broad stretch of beach, aggregating twenty-two and one-quarter acres. A donation from Jacob Schwan increased the tract seven and a fifth acres, and the purchase from the same party of twelve acres additional, and a perpetual lease of a long strip along the cliff, make a domain of about forty acres. The location of this encampment could not be excelled if the State had been thoroughly searched. From the city of Santa Cruz to Aptos, as has been previously noted, is one of the most desirable residence parts of the globe. And of this most desirable part of the Monterey Bay, the Baptists, in point of contiguity to the city of Santa Cruz, steam and street railway facilities, bathing facilities, including surf bathing in the open bay, and still salt water bathing in Swan Lake, beauty of natural surroundings, grand marine and mountain views, to say nothing of the pretty little vistas, shady walks, and secluded nooks among the grand oaks which fringe the lakes, have certainly demonstrated the conception of their undertaking under a most auspicious star. The grounds have been laid out by Mr. N. E. Beckwith, of Los Gatos, who has been appointed superintendent and resident agent for the sale of lots. Mr. Beckwith has demonstrated his ability as a surveyor, and high artistic taste, by the way that he has plotted the grounds, surveying the entire tract and adjacent lands of Mr. Kimble in one homogeneous plan, with an eye to the future growth and development of this most auspiciously inaugurated effort. A hotel and several cottages have been constructed, a large number of tents are upon the ground, and quite a number of families are enjoying the privilege and pleasure of an encampment at Twin Lakes. The lots are forty by eighty feet in dimension, and have sold rapidly since being placed upon the market, many purchasers being residents of Santa Cruz, not identified with the religious association, who have taken advantage of the opportunity of a good business investment. Especial care has been taken to prevent the sale of liquors on or near the grounds. While the enterprise is under the management of the California State Baptist Association, there is no sectarianism in the conduct of affairs, as each purchaser of a lot is entitled to membership in the association. In addition to his donation of land, Mr. Kimble has assisted in opening roads, and otherwise shown his generosity and desire for the success of the undertaking, which is now assured. Some pretty features of the natural scenery are shown in the accompanying engraving. Naturally, most visitors arrived to the Twin Lakes resort by rail. The nearest tracks were at the back end of Schwann Lagoon, at the end of 7th Avenue. 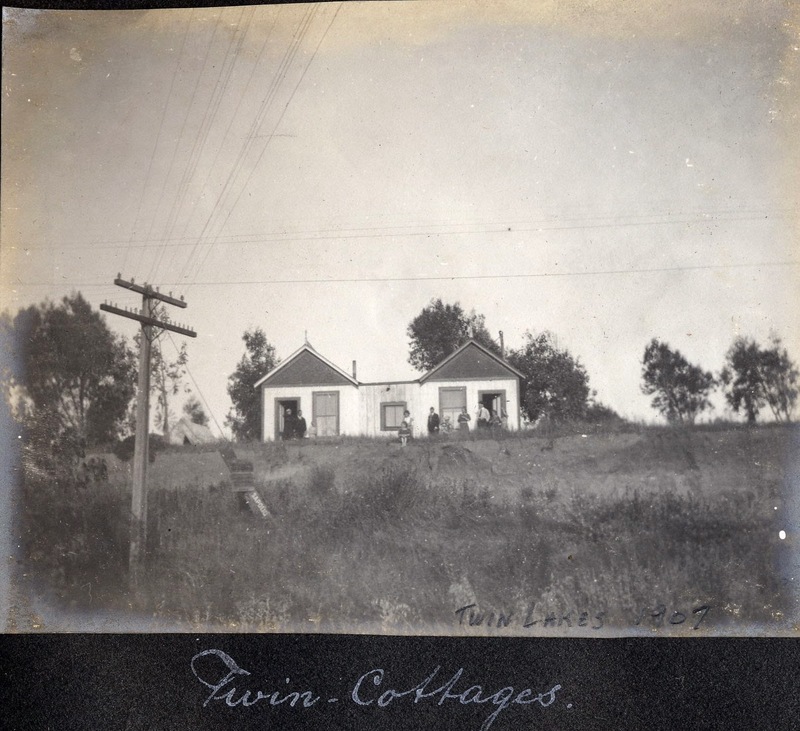 As soon as the Baptists began using the site, Twin Lakes station was in full swing. It initially had no structure or services and no siding. It was located 118.6 miles from San Fransisco via Pajaro Junction and 1.6 miles from Santa Cruz. The Ely horsecars passed down 7th Avenue, crossing the Southern Pacific tracks where it picked up passengers who were bound for the beach. The Jongeneel family at a cottage at Twin Lakes in 1907. On the beach, management changed quickly. The Baptist tabernacle remained the focus point for the area, but the conference center changed hands in the late 1890s when Howard E. Parker bought it and renamed it Hotel Surf. He in turn sold it to J.H. McCulock on Mar. 2, 1903. At this time, the Twin Lakes was growing. New seasonal and permanent residents were beginning to crowd out the historic Baptist core. By 1917, much of the area was under development as private residences, some Baptist, some not. The Union Traction Company took over the Ely horsecars around 1904 and began running seasonal service between the railroad stop and the beach. Around 1908, a 350-foot spur was added to Twin Lakes station, likely to provide a place for trains to park and unload passengers. Any freight purpose for this spur is currently unknown by this historian. From that point until the 1930s, Twin Lakes was a fully-fledged year-round station, appearing on employee timetables regularly. Service was still on-demand, but it would stop at Twin Lakes for any passenger on or off the train. The Hotel Surf became the Twin Lakes Hotel in 1926 when Karl O. Kott bought out the property from Charles and Otto Stark, the previous owners. By then, the Baptist tabernacle had become simply a local Baptist church, its heritage fading into history. Passenger service continued to Twin Lakes Station until February 1938, after which the route was used for excursions trains and freight only. 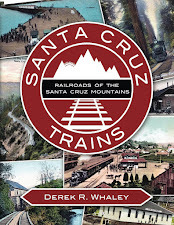 The tracks became property of the Union Pacific in 1996 and were purchased by the City of Santa Cruz in the mid-2000s. The beach area became Twin Lakes State Beach in 1955 and at the time was connected to Seabright Beach located between the San Lorenzo River and Woods Lagoon. The construction of the small craft harbor in Woods Lagoon in 1964 divided the two beaches, though they legally remain the same state park. Today, Twin Lakes Beach is still a popular venue at the mouth of Schwann Lagoon, but few traces of the area's historic or railroad past remain. E.S. Harrison, History of Santa Cruz County, California (San Francisco, CA: Pacific Press Publishing, 1892.